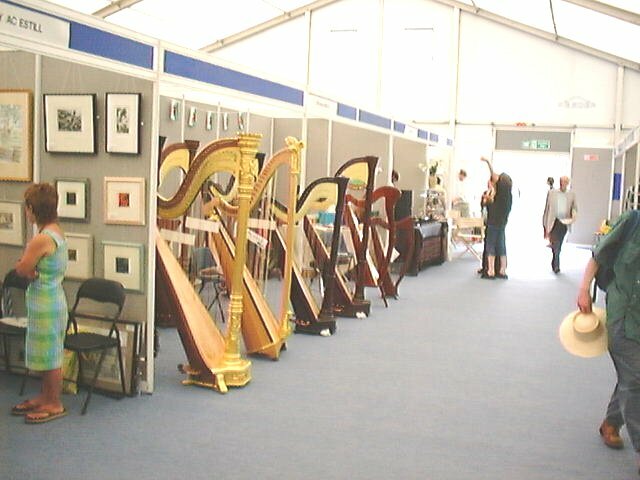 The Eisteddfod is a crucial marketing opportunity for shops selling things Welsh, from books music to handicrafts to, well, harps. Most spectacularly, the huge orchestral versions of that instrument, the ones that you need a large Volvo or a small pantechnicon to transport. If you get the urge to play but dont own a harp yourself, or have forgotten to bring yours, its not hard to find one available for test-drive.